Google is doing everything it can to push Glass onto the masses, even enlisting well-known fashion designers to make it look more "chic." But beyond its looks, the real selling-point will come through its functionality: can Google convince consumers they need a face computer? Will their lives be better with it? That remains a hot-button topic—and it's getting even more controversial thanks to so-called "smart gun" support. Through a precision-guided firearm (PGF), Austin-based TrackingPoint Solutions has enabled Glass support with its ShotView system, giving anyone with a Wi-Fi-enabled gadget the ability to basically fire at targets from around corners. This isn't quite on the Wanted level of sci-fi future, but it's a potentially frightening implementation. For anyone in the military, though, it could be incredibly useful during battle. 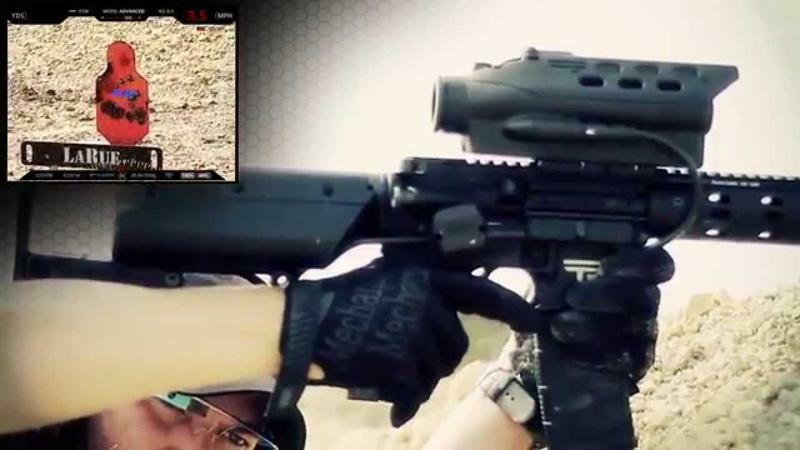 TrackingPoint calls Glass support a new era in augmented marksman ability. Basically, the PGF will beam a live-feed into your gadget of choice—a phone, tablet or wearable—giving users the ability to shoot without leaving a safe position. "When paired with wearable technology, PGF's can provide unprecedented benefits to shooters, such as the ability to shoot around corners, from behind low walls, and from other positions that provide exceptional cover," TrackingPoint said in a press release. Advancements in everyday technology are typically only seen through the perspective of a consumer, but there are obviously many more possibilities we haven't even thought of. With technology like Glass, a number of unforeseen implementations are being unlocked—some good, some not so good—paving the way for a wide open future. Robo-soldiers aren't far off—you might one day wear the same tech used in wars.